The Diamond Creole Earrings 'RUIT' - Gold Plated has a beautiful closure on the back all made by hand. 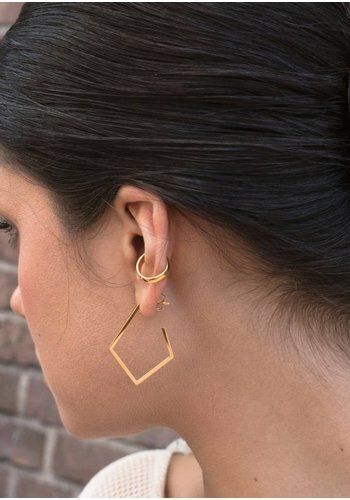 We love these earrings. Great to wear to work.